The West Shore Chambers’ Business & Industry Night is quickly approaching! This year’s event is October 4th, with the theme tailgating! At the area’s largest and longest running trade show, a panel of secret judges vote on exhibitor’s booths for ‘Best Use of Theme’, while attendees vote for ‘Best in Show.’ Win over those votes with perfect promo items that will make the judges and attendees feel like they are right outside of the stadium! Feeling behind and aren’t thinking that far ahead yet? Koozies are a fan favorite tailgating accessory! 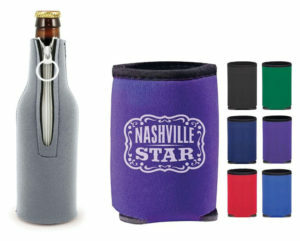 There are several different style varieties, like the classic can koozie, or a larger, zip-up bottle one! Red solo cup, I fill you up.. Let’s have a party! Don’t worry about plastic cups cracking under pressure or glass shattering on the ground. 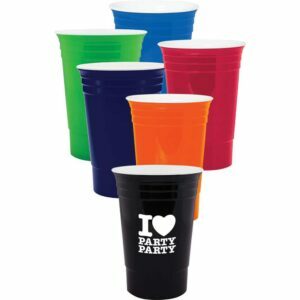 This reusable version of the solo cup is the perfect solution and addition to tailgates! Attendees will be thanking you for this awesome promo product! Tailgating, football….need we say more? 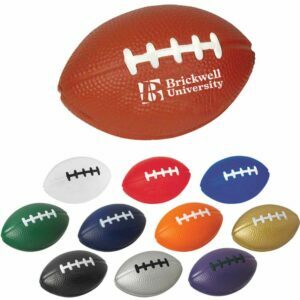 This football shaped stress ball just makes sense for a tailgate-themed event! 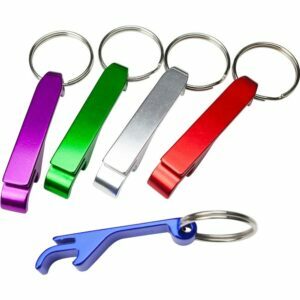 Nobody wants to be stuck without a bottle opener! Open some fun by printing your brand on a tailgating necessity! 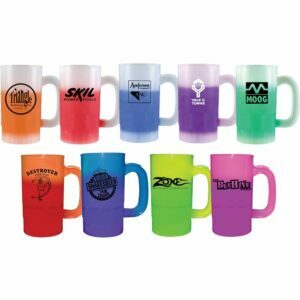 Cheers to a great promo item! You can never go wrong with cups, and this unique mood changing beer stein is sure to stand out and be fans beverage-holder of choice for tailgates this season! Snacks are one of the most important parts of a tailgate! 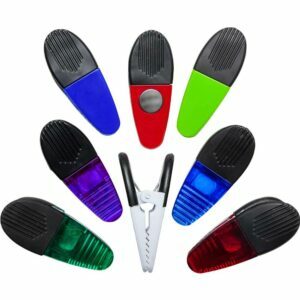 Don’t be stale- use branded chip clips to keep your marketing fresh! 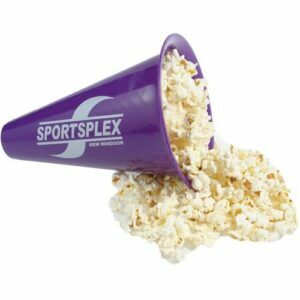 The dedicated sports-fans will want to snack out of a megaphone! Help them support their team with a megaphone with a removable cap! From snacking to cheering- this SCREAMS tailgate! 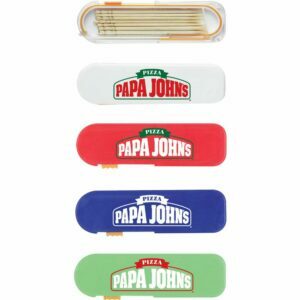 After eating all of the delicious food at their tailgate, you can save the day with branded toothpick dispensers! Probably not the first promotional product that comes to your mind, which makes it that much better! Let’s not forget about the second half of tailgate season…when the temperature starts to drop and you break out the blankets! 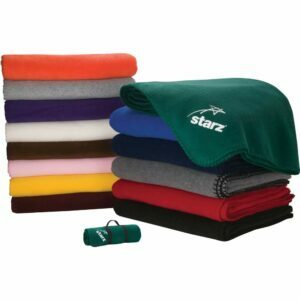 Keep the party going and wrap up the competition with custom fleece blankets. You can never have too many! 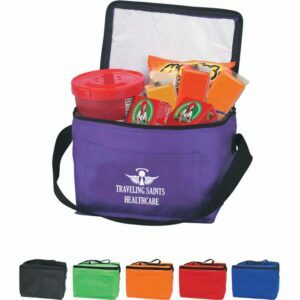 Email info@konhaus.com to order your tailgating themed promo products today, so you can get them in time for Business & Industry Night! We can’t wait to see everyone there! Have another themed event coming up? We would love to help find other promo products that will work for you!